This is the second part of a brief series of posts on Bruce Waller’s recent book Against Moral Responsibility. The book as whole presents a detailed case against the concept of moral responsibility. My series of posts is focusing on the basic argument at the heart of that more detailed case. This basic argument is found in chapter one of Waller’s book. In part one, I followed Waller by examining the debate between Galen Strawson and Alfred Mele on the possibility of moral responsibility. As we saw, Strawson argues against moral responsibility on the basis of the causa sui principle (an agent is responsible for their actions if and only if they are a causa sui); Mele argues in favour of moral responsibility on the basis of the intentional self modification (ISM) principle of responsibility (an agent is responsible for their actions if they intentionally self modified themselves to have a certain set of character traits). The problem was that both principles have intuitive support and there’s little basis for choosing one over the other. Waller enters the debate at this point with his own argument against moral responsibility. As I said the last time, his argument works from yet another intuitive principle. This might seem like an inauspicious place to work from since if we accept it, instead of having to decide between two intuitively supported principles, we’d now have to decide between three. But this is not necessarily true. If Waller’s principle is, in some sense, more compelling, or more ethically basic than either that of Strawson or Mele, then he might be able to win the day. In the remainder of this post, we’ll try to see whether or not this is the case. Like Mele, Waller develops his arguments through some elaborate thought experiments. He presents two such thought experiments in the course of chapter 1, each of which asks us to consider the differing fates of two individuals. In the first thought experiment, we consider two people, one of whom acquiesces to a racist policy and the other of whom protests a racist policy. We are then asked whether or not we should reward the protester and blame the acquiescer. In the second thought experiment, we consider the fates of Benji and Betty, one whom is a cognitive miser and the other of whom is a chronic cogniser (terms that will be explained). In the interests of brevity, I’m going to combine elements from both thought experiments and ask you to consider the strange fates of both Benji and Betty. Now, as it happens, we were introduced to Betty in part one. She was the main character in Mele’s thought experiment on intentional self modification. We shall repeat her story here, but also include a latter passage from her life. The Strange Case of Betty: Betty is a six-year-old girl who is afraid of the basement in her house. She knows that no harm has come to anyone, including herself, who has entered the basement. But she is still afraid. Nevertheless, she recognises that her fear is “babyish” and takes steps to overcome come it. She starts to make periodic visits to the basement, staying slightly longer each time until she no longer feels afraid. After following this method for a few months, she loses her irrational fear. This ability to intentionally self modify parts of her character comes in handy throughout Betty’s life. She uses it to develop sound and effective study habits, work practices and, most importantly, moral character. Later in life when she is working on a university hiring committee she is asks to acquiesce in a racist hiring decisions. She refuses, sticking to her strengthened moral principles. Question: Should we reward Betty for this courageous decision? As Waller puts it, Betty is a chronic cogniser, i.e. someone who takes pleasure in thinking and engaging in extended deliberation and decision-making. As a result, she has a strong sense of having an internal locus of control, of being the captain of her own fate. Her life story must be contrasted with that of her brother, Benji. Unlike Betty, Benji is a cognitive miser, i.e. someone who does not enjoy thinking and deliberating, and who tends to act quickly and intuitively. As a result, he has a strong sense of having an external locus of control, of being swept along by events that are not of his making. The Strange Case of Benji: Benji is a seven-old-boy who is, like his sister, afraid of the basement in his house. Like his sister, Benji recognises his fear as being “babyish” and would like to overcome it. However, unlike his sister, Benji has not been blessed with the innate cognitive skills that give him the motivation to undertake a program of intentional self-modification. He lets external events decide his fate for him, hoping that he will simply grow out of his fear. His tendency toward cognitive miserliness does not stand him in good stead for the rest of his life. He drifts aimlessly from career to career, and engages in a number of habits he knows to be self-destructive (smoking, over-eating, drinking etc.). Later in life, when asked to acquiesce in a racist hiring decision at his new company, Benji simply “goes with the flow”, refusing to take a principled stance against it. Question: Should we blame Benji for this cowardly decision? For the time being, the questions about blaming and rewarding Betty and Benji will remain strictly rhetorical. Their importance will come to the surface when we look at Waller’s actual argument against moral responsibility. For now, I want to highlight three important features of these thought experiments. First, and least important in terms of understanding the overall argument, there is the fact that the existence of cognitive misers and chronic cognisers is something that Waller backs up by reference to the psychological literature. In other words, these are not simply concepts that he plucks out of thin air, they seem to be genuine traits found amongst real people. Second, there is the idea that the initial distribution of cognitive capacities and traits (i.e. the kinds of things that are essential to the decision-making process) are unequal: Benji and Betty were not equally blessed when it came to capacity for self-modification. They were victims of the natural lottery. Third, there is the idea that one’s decisions early in life (such as Betty’s decision to self modify her fear) can create a positive feedback loop, and this can have a great impact on the rest of one’s life. Again, this is something that could be backed up by references to the psychological literature (e.g. the work on the marshmallow test). The last two points just mentioned — that the initial distribution of capacities is unequal and that early decisions can have profound effects on one’s future — form the backbone of Waller’s basic argument against moral responsibility. Instead of working from an intuitively compelling principle of responsibility (like Strawson and Mele), the argument actually works from a principle of fairness. It does so on the grounds that judgments of responsibility are used to justify differential outcomes (reward, punishment), and differential outcomes raises issues of fairness. (16) Differential outcomes for two (or more) persons can only be justified if they had equal opportunity to achieve those outcomes. (17) If Betty is rewarded for opposing a racist decision and Benji is punished for agreeing to a racist decision, then they are experiencing differential outcomes. (18) Therefore, if Betty is to be rewarded for opposing a racist decision and Benji to be punished for agreeing to a racist decision, they must have had equal opportunity to achieve those outcomes. (19) Because the initial distribution of decision-making capacities and traits is unequal, and because this inequality has long-term implications, Betty and Benji did not have equal opportunities. (20) Therefore, Betty and Benji cannot be rewarded and punished for what they did. Now let’s talk about this for a minute. Notice that the argument is not explicitly about responsibility but is, instead, about reward and punishment. If I were being niggly, I might object to this on the grounds that there is a gap between responsibility and liability, but since judgments of responsibility and judgments of liability are so closely linked I’ll leave this complaint slide. 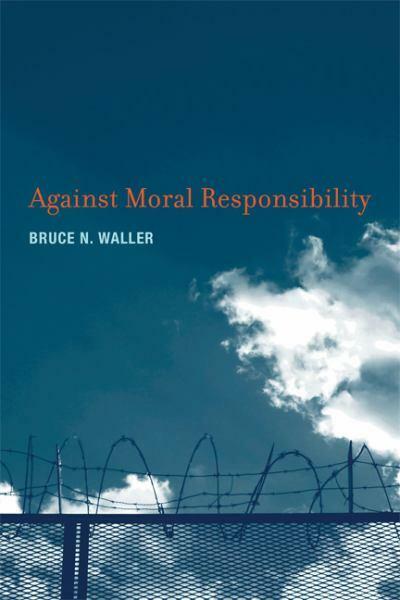 I’ll accept that if Waller makes his case against liability, he has made his case against moral responsibility. After all, there wouldn’t be much to cheer about if there were a theory of responsibility that didn’t allow for liability. Next, let’s consider the defence of the argument. Premise (16) is a principle of equality. It is defended by appeal to fundamentality of equality concerns in moral philosophy, particularly political moral philosophy. Apart from that, there’s really no deep support for equality of opportunity. It tends to be a primitive or unquestioned value in these kinds of debates. Premise (17) seems to be obviously true: if one person is rewarded and another is punished, then they are being treated differently. Premise (18) then follows. Premise (19) is justified by appeal to the thought experiments and the psychological literature that supported some of the ideas in those experiments. The conclusion then follows. Of course, the argument is specifically tailored to Betty and Benji but the idea would be that their cases are a fair representation of those of all people. So the argument is intended to be of general applicability. Finally, let’s ask whether this argument is better than either Strawson’s or Mele’s. Again, this is difficult to say. Waller’s argument — like those of Strawson and Mele — is based on an intuitive principle. But is his principle more compelling than those used by Strawson and Mele? As it happens, I think it is. But I don’t if I can provide a strong justification for this. It just seems right to me to say that issues of distribution and fairness occupy a higher rung in the moral ladder than do issues of responsibility. Thus, I’m inclined to think Waller’s argument is better. If you’re still reading, I’d be interested in hearing what you think. Comments below please. I've come across Strawson's Basic argument(s) before, and while I hold to moral universalism, I find Strawson a challenge to my, unsophisticated beliefs. On first reading, Waller's argument appears to be even stronger than Strawson's. I would guess that the best way for the sceptic to attack Waller is to try and undercut Premise 19, specifically its' appeal to certain notions in psychology. Are those notions the consensus? Does the evidence they appeal to support other, perhaps contradictory hypotheses? I have no idea. But it would seem to me to be the best route for anyone seeking to undercut this argument. Waller seems to assume a lot about the concept of moral responsibility that is not written out. E.g. that it is binary rather than continuous/gradual. His argument, moreover, seems to depend on controversial normative assumptions, such as the one that distributions of harms and benefits can only be justified on the basis of desert. I want to read Waller's book, but until I have the chance, your summary is very useful. I think one possible objection is that "equal opportunity" is being used equivocally in premises (16) and (19). If it means "identical moral character in a given situation," then (16) is false while (19) is true. If it means "equal lack of external restraints on the decision-making process," then (16) is true while (19) is arguably false.